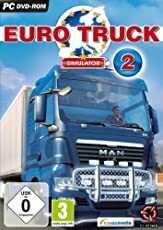 Hey Leute!, ich habe einen mod erstellt wo ihr nichts zahlen müsst beim Maut wenn ihr denn Peterbilt 379 fährt. Einfach in den Modordner reinstellen und fertig! Note: Choose color White, for the right result,Authors: SCS, AdeA Reis, Mik63i, EvreySkin by Freddy JimminkDon’t place it whitout Credits, if You do so, then judgement will follow!